The industry is looking forward to better capacity utilisation this year, as the demand environment, led by a pick-up in infrastructure and housing, is expected to remain buoyant. 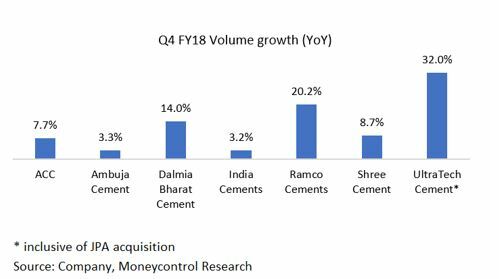 The cement sector ended FY18 with a decent performance on the volume front, as a majority of the companies recorded decent volume growth in the March quarter. On the cost front, FY18 turned out to be a challenging year as the industry faced multiple disruptions in the form of bans on sand mining and petcoke, and rising fuel prices. But the worst seems to be over as some of these issues appear to have been resolved. The sector looks interesting at this juncture as the stocks have corrected from recent highs and cement prices, after a period of stagnation, have been witnessing early signs of improvement over the past few months. UltraTech reported a volume growth of 32 percent year on year growth, mainly due to the consolidation of Jaiprakash Associates' cement assets that it bought recently. Adjusting for the acquired capacity of JP Associates (21.2 million tonne), the like-to-like growth stands at 6.7 percent. 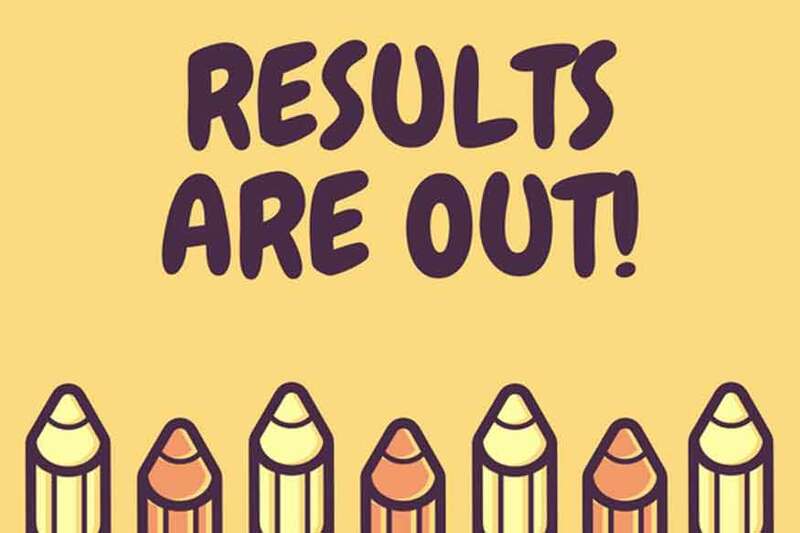 Apart from UltraTech, Dalmia Bharat and Ramco Cements also reported strong volume growth of 14 percent and 20 percent, respectively. Strong demand in the eastern markets drove the volume growth for both these companies in Q4 FY18. Ramco Cements also benefitted from infrastructure pick-up in AP and Telangana. 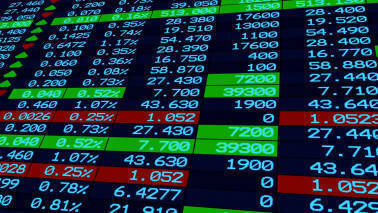 Shree Cements and ACC’s volume growth came in line with the industry growth of 7-8 percent. 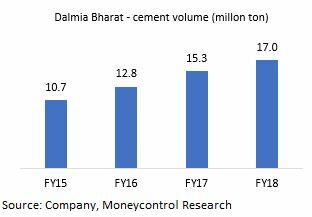 Ultratech, the largest cement manufacturer in the country, reported the highest realisations in Q4 FY18 closely followed by Dalmia Bharat and ACC. The realisations of Ambuja, India Cements and Ramco Cements were 10-15 percent lower than that of the top cement players. Cement realisations have remained flat to slightly positive for most parts of India as the industry preferred chasing volumes which put a cap on pricing. 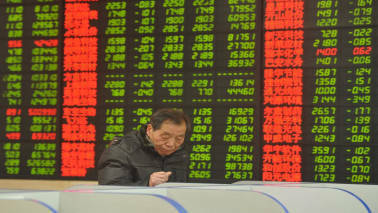 On a broad level, the pricing power remained absent in the industry despite being a seasonally strong quarter. 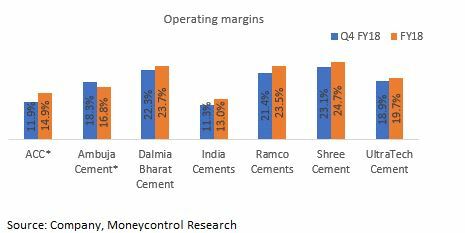 On the cost front, Shree Cement and Ramco reported the lowest cost per ton on account of business efficiencies. ACC and India Cements have a very high cost structure which resulted in lower EBITDA/ton. The industry is facing a challenging operating environment as some key input costs have surged in the last one year. Rise in coal (up 8-10 percent YoY) and petcoke prices (up 20-25 percent YoY) have resulted in an increase in power and fuel costs. Increase in diesel prices (up 20-25 percent YoY) impacted freights costs. Fuel and freight costs constitute around 40 percent of total operating expenses and is excreting downward pressure on operating margins. The operating margins in Q4 FY18 for all the players were lower than the overall FY18 margins. In Q4 FY18, Dalmia surprised the street positively as it reported an improvement in operating margins on quarter-on-quarter basis. Margins improved because of operating efficiencies and cost rationalisation measures (change in fuel mix, reduction in lead distance etc). With a pick-up in infrastructure development, overall demand is expected to remain firm. Government spending on infrastructure and affordable housing should propel industry growth to 7-8 percent in the current fiscal. We feel competitive pressure will continue to remain high in the northern and western region. However, companies with strong presence in the east, central and south India (specifically Andhra and Telangana) regions will gain from an improved demand environment. The cement realisations last year were impacted by the introduction of the Real Estate Regulation Act (RERA) and Goods and Services Tax (GST) which hampered the real estate demand and caused a slowdown in housing construction. However, this was offset by high offtake from the infrastructure segment. Despite increasing cost pressures, rising demand and increasing capacity utilisation should result in some improvement on the pricing front in this financial year. The green shoots are starting to appear as cement prices have firmed up during the past few months. The sector is witnessing a strong demand in central, eastern and parts of south India (AP and Telangana). Heidelberg Cement, which mainly operates in the central region, has hiked prices up by Rs 15-20 per bag in June 2018. 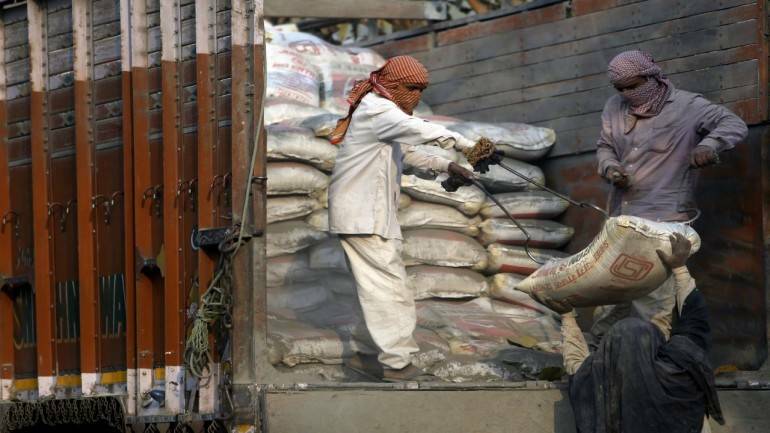 Similarly, cement prices in northern region (Delhi & NCR) have been hiked By Rs 5 per bag in the past couple of weeks. Among the large cement companies, our preferred picks are Dalmia Bharat followed by UltraTech. Dalmia has scaled up rapidly through organic and inorganic route in the past few years and has reported a strong double-digit volume growth in the each of the past three fiscal years. While Dalmia continues to surprise positively by reporting industry-leading volume growth, the company is consistently deleveraging its balance sheet, improving return ratios and also keeping a check on expenses with stricter cost controls. The company is planning to double its capacity in the eastern region by adding approximately 8 million ton at a cost of Rs 3700 crore. The project will be executed in phases and these new capacities will be spread across Odisha, West Bengal and Bihar. UltraTech enjoys a cost leadership position and has raised capacity utilisation at the plants bought from JP Associates, to 75 percent in the last 12-15 months. The recent acquisition of Century Textiles Industries’ cement plants has further fortified UltraTech’s pan-India presence. The company has set a new industry benchmark with the commissioning of greenfield clinker capacity of 2.5 million ton per annum (cement capacity of 3.5 million ton per annum) at Dhar, Madhya Pradesh in less than a year and under $90 per million ton. The valuation of UltraTech captures most of the positives (EV/EBIDTA of ~21 times FY19). However, the company is a long-term secular exposure on India’s GDP growth and should be accumulated on dips. Large cap cement pack – where should you put your money?